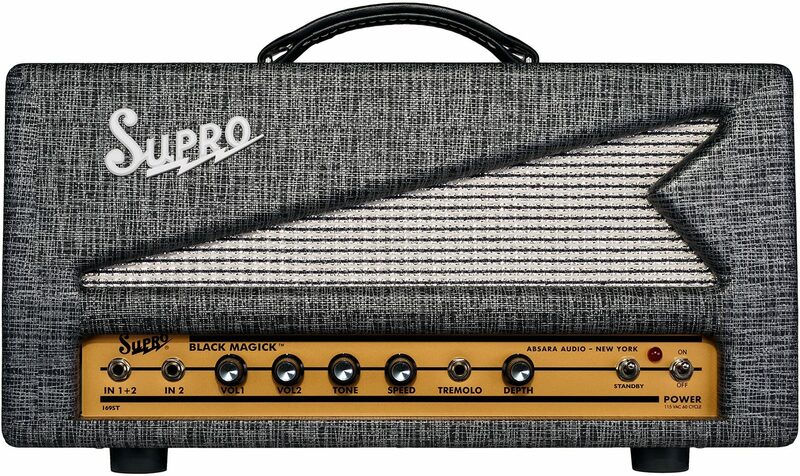 The Supro Black Magick head packs all the award-winning tone and circuitry of the Black Magick combo into a compact all-tube head format. This 25W, high-gain blues machine pairs perfectly with the Supro Black Magick 1x12, 1x15, Statesman 2x12 extension cabinets or your favorite vintage 4x12 cab. With more gain on tap than any other Supro reissue, Black Magick absolutely rips for heavy blues and classic rock guitar styles. 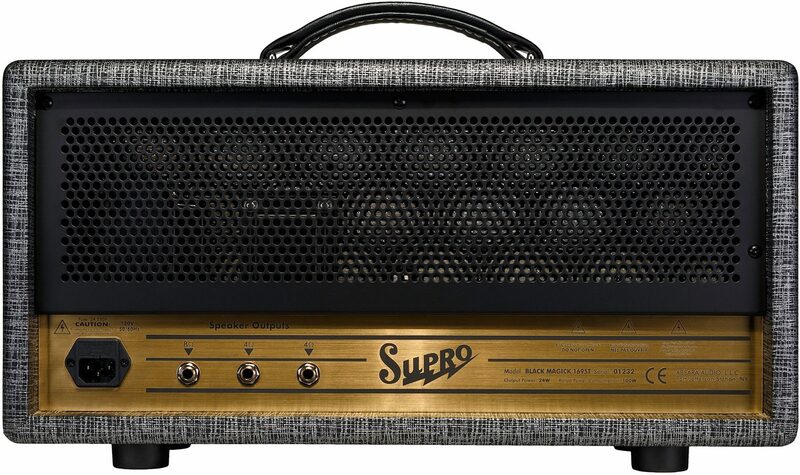 This amp's traditional, cathode-biased "Class-A" power section uses 6973 tubes to achieve the instantly recognizable midrange grind and phenomenal touch dynamics that define the Supro sound. A complete range of tones from warm cleans to heavy distortion can be accessed by simply adjusting the volume knob on your instrument. The signature Supro power tube tremolo adds footswitchable depth and dimension to this historic Rock and Roll machine.